At the jungle lodges in Dandeli, you can also enjoy a host of adventure trips and activities. 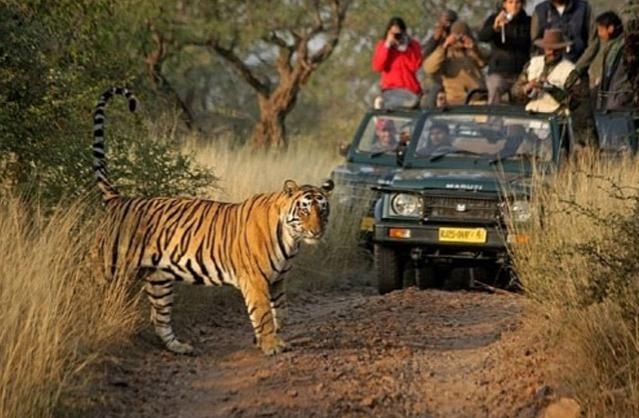 One of the most famous activities in Dandeli is jungle safari. We will arrange for a trip into the forest where you will be able to observe the wildlife in its natural beauty. This is one reason why a lot of wildlife enthusiasts and serious photographers love coming to the Dandeli jungle camp. We also arrange for bird watching trips as you can find some of the rarest birds in the country at Dandeli. Those who want to take it easy and relax can take advantage of the natural Jacuzzi formed by the Kali River. You could also just enjoy a relaxing walk with your partner around the resort and enjoy the relaxing ambience of the surroundings. 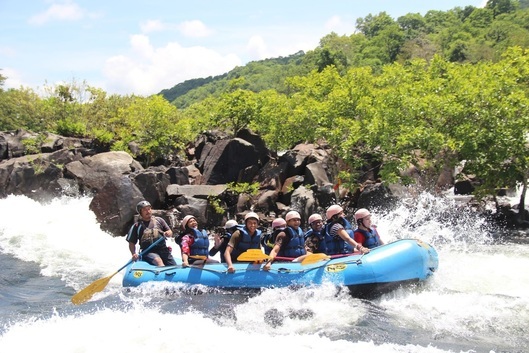 Whether you want to go on a jungle safari in Dandeli or go white water rafting down the rapids of the Kali River, Dandeli jungle camp is the best place to come to. Planning for a weekend away from the hustle and bustle of the city? The best place is the Dandeli jungle camp. Hit the pause button in your hectic lifestyle and take a break in the luxurious surroundings of the Dandeli jungle resorts. Even as you drive past the fringes of the reserve forest area, you will feel your stress and strain slowly draining away. What better way to spend a long weekend, than in the jungle lodges of Dandeli? Do you want to know more about the Dandeli? This small picturesque town is located in the northern part of Karnataka about 500 kilometers from Bangalore city. You can drive down to Dandeli via road or take a flight or train till Hubli and then taxi down to this town. When you book in to the Dandeli jungle camp resort, you can choose from two modes of accommodation. You can either stay in one of the cozy cottages or rough it out in a tent.